A gift annuity is a simple contract between you and Tri-City Hospital Foundation. In return for a donation of cash or other assets, the Foundation agrees to pay a fixed payment for life to you or to a friend or family member of your choosing. You also can claim a charitable tax deduction. If you fund a gift annuity with long-term capital gain property, you will have to report only some of the gain, and may be able to report it in installments over many years. Income from a gift annuity can be deferred for a period of years. 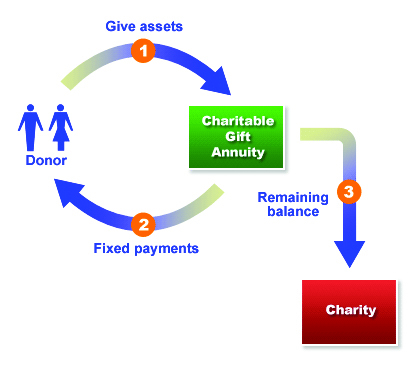 Deferred gift annuities are often set up by younger donors to supplement retirement income. A flexible gift annuity gives the income recipient the option of when to commence annuity payments within a range of years specified in the contract.